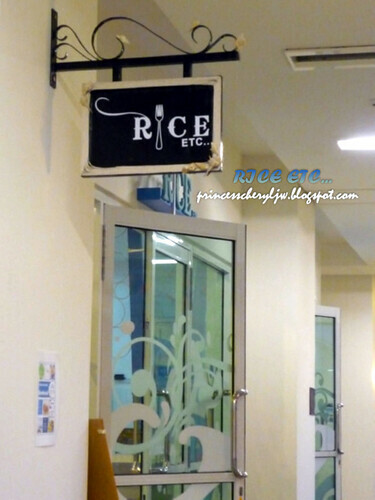 It's somewhat hidden away from the other restaurants inside Straits Quay. We searched and walked round and round in Straits Quay before reaching the restaurant... perhaps we came from the marina side instead of the main entrance. If you're coming from the main entrance at Straits Court, look to your right, it's located at the first floor. If you're coming from the other side (Quay West), try to search for the Apple Switch store, it's across the walkway down the corridor. 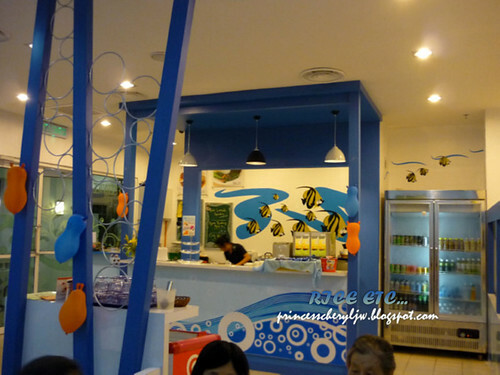 Environment is clean and homely, main colors in blue and white. This restaurant, should I call it a cafe instead, because the food served are much lighter than normal meals that I expected. They have Asian/Fusion main course, snacks and breakfast set. 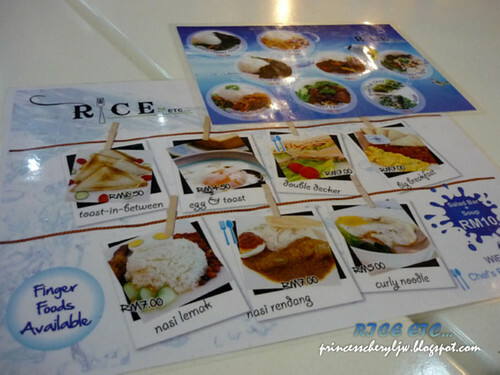 Price is consider reasonable for its portion, Nasi Lemak and Nasi Rendang at RM7.00, Curly Noodle at RM5.00. 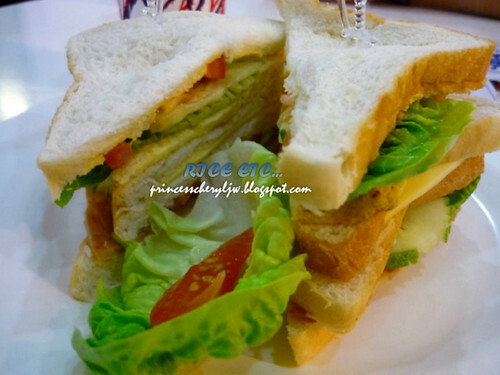 This is nice, like some club sandwich. 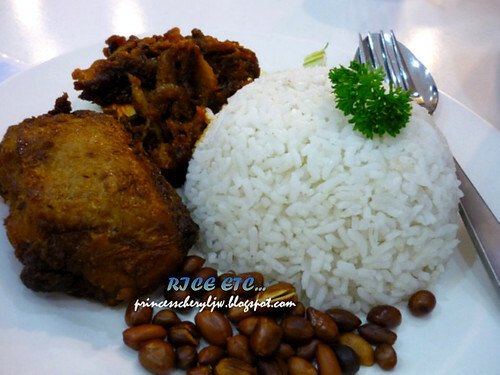 Portion is good enough to fill up your tummy. 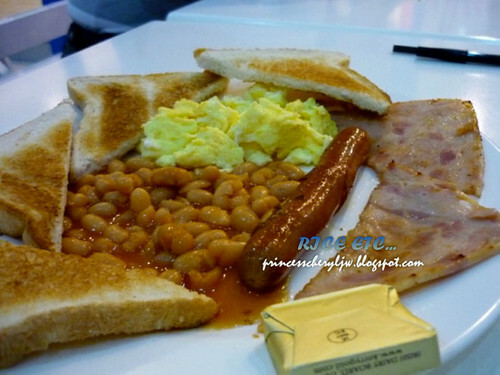 Toast, baked beans, scramble egg, ham and sausage. Something like the basic sausage, ham & egg for western food. 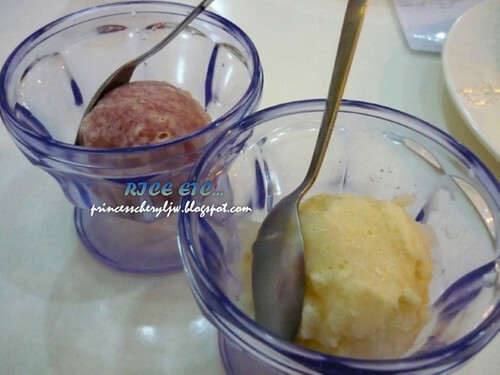 Snowy Ice Dessert (100% Fresh Fruits No Colouring No Preservative) of Plum Flavor and Dragon Fruits Flavor. Came together with the promotional set that we bought. I personally like the plum one better. Spice CSL DS700 Launch - Transformers on the go!